Fans chanting, “We Are Nipsey!” from the best seat in the house –– a green bus bench on an otherwise bare sidewalk outside the funeral home. 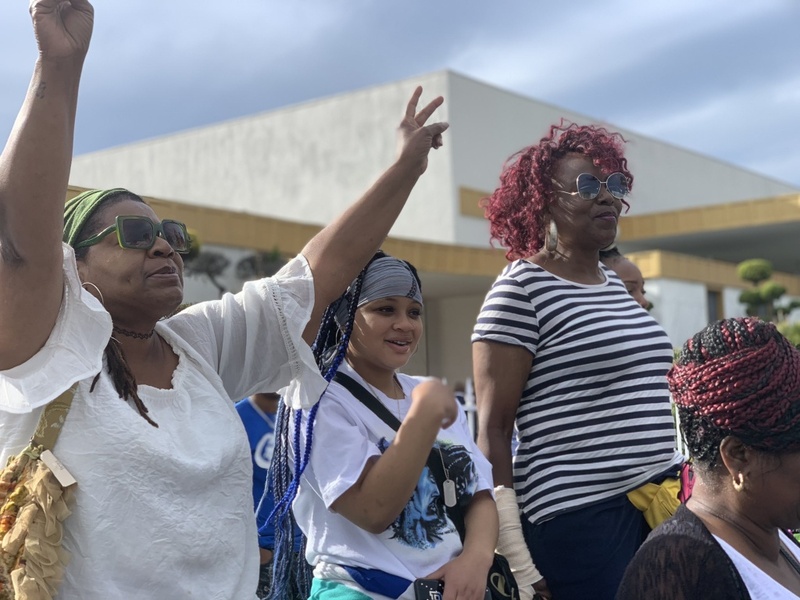 Tens of thousands of fans and friends celebrated the life of slain rapper and entrepreneur Nipsey Hussle Thursday at a memorial service at Staples Center and on the streets of Los Angeles. We bring you some of the sounds and emotions of the day. Click the blue play button to listen. Read more coverage of the event at LAist.